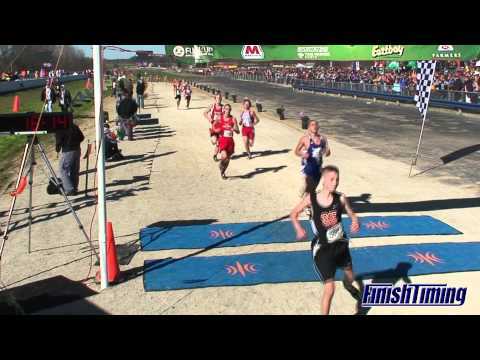 In the D1 boys State Cross Country race an individual lost their shoe just before the mile mark. Here is the story of who that shoe belonged to, and what he had to overcome that day. Versailles Junior, Sam Prakel, is this years Division III State Cross Country Champion. His winning time of 15:19.34 was the fastest of the three boys divisions on the new National Trailways course. OHRunners had the privelege of interviewing Sam about his championship run. He provided us a glimpse, though his mind and his eyes, of his experience in preparing for and winning a State title. State meet recaps, links to photo galleries, videos and more inside. Five teams and one individual will look to defend their State Championships from last year. Versailles senior, Tammy Berger, will be looking for her third straight individual Cross Country title in the Division III Girls race. One thing that is for sure is that there will be new course records established in all three divisions for both the males and the females. This year will mark the first year in which the State Cross Country Meet will be held at National Trail Raceway in Hebron, Ohio. The last few weeks, as the Cross Country season was winding down, I was thinking of what I could write about. Today, as I was watching and photographing the State Cross Country meet, I realized that the meet itself was what I should write about. Not about what the results were and who were the individual winners, the times and the team champions, but just about what I saw, and what I saw is the reason that those of us that are involved with the sport have come to love it. While most of the State was getting ready for the Ohio State football game against Indiana and for the State High School football playoffs, some 850 State qualifying runners prepared to run six divisional 5K races to determine individual State champions and team State champions. The race was being run for the first time on a new course at the National Trails Raceway in Kirkersville. See the new OHSAA Championship Cross Country course at National Trail Raceways. Finish video of the Boys Division I race. 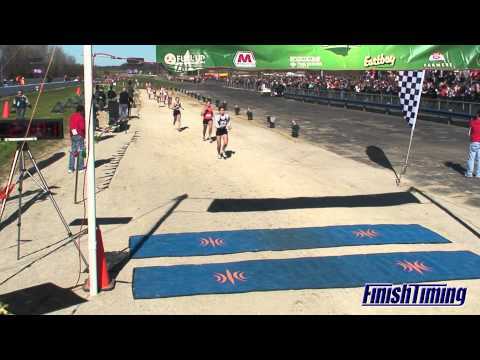 Finish video of the Girls Division II race. 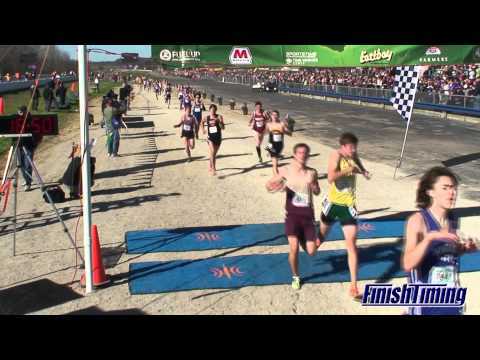 Finish video of the Boys Division II race. 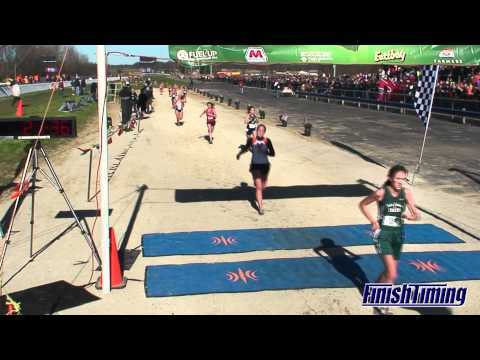 Finish video of the Girls Division III race. OHSAA Cross Country State Championships. 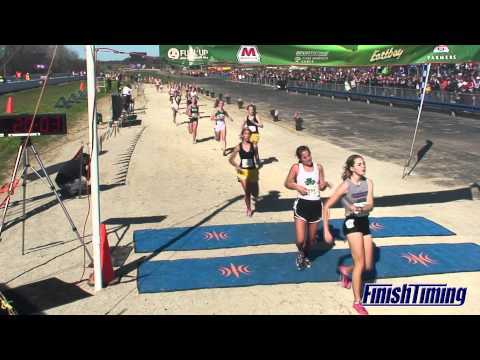 Finish video of the Girls Division I race. 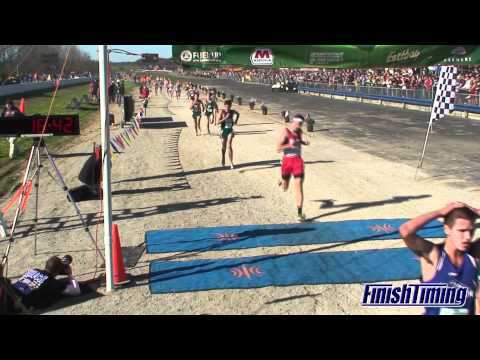 Finish video of the Boys Division III race.